Next Week on pre-order ! -N°1 Of the new Spile magasine ! -Cards for different BB teams. 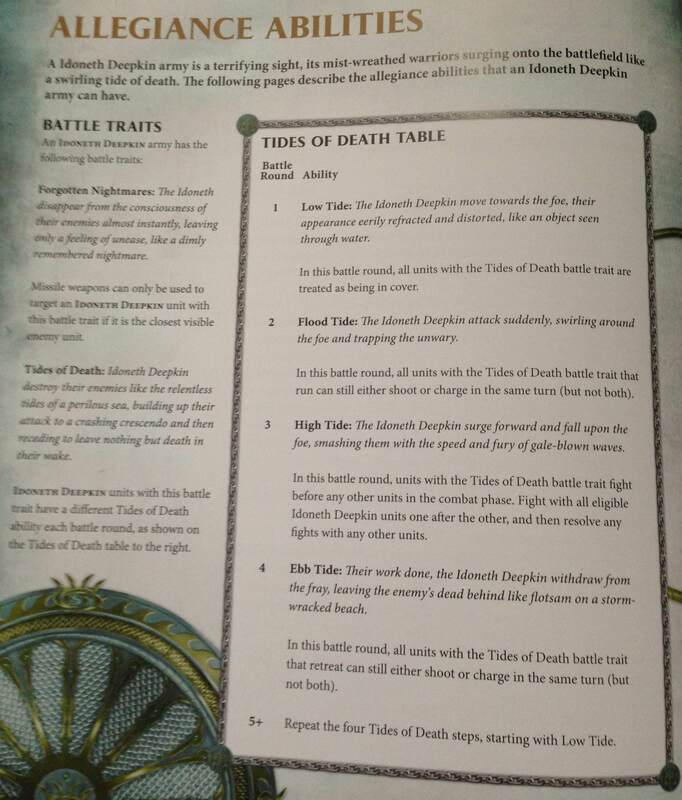 Part 2 of the battletome review : The rules. The Idoneth Battletome is interesting because after my first read, i wasn't that impressed or stimulated like i was with the DOK or Maggotkin. Off course there are a few cute interaction like the threat range booster or the Bravery manipulation but it felt a bit lacking. Then i remembered why i felt that. it's because their allegiance abilities are totally BUSTED and grant the army a very solid base outside of any combo or Battalion. After that i looked again with the 2 allegiance power as a base and everything made sense ! Allow you to shield your army from most shooting attack. During the 2 you can easily get a good alpha and still protect good units and support from shooting. This is amazing ! Infinity sand : Once per battle, grant an extra turn duration to spell lasting until the next hero phase. it's very very good because you can cast a spell outside of unbound and can have 2 mystic shielded unit at the same time for one turn ! 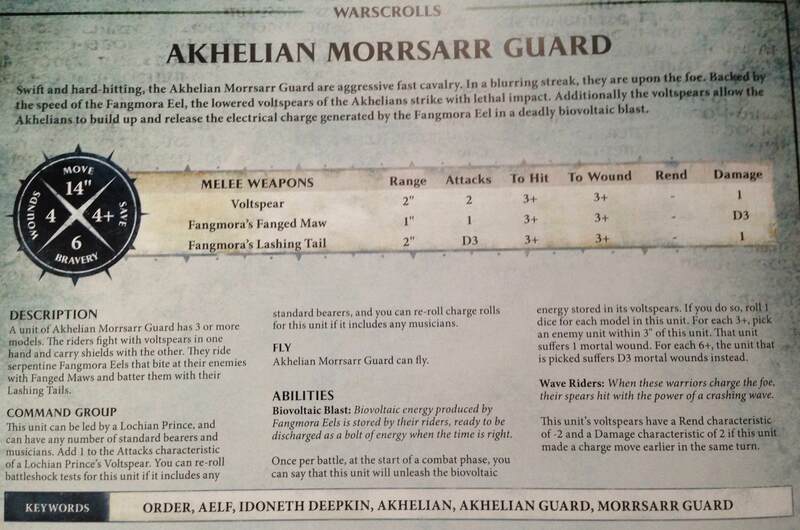 The crazy part is that they are a double shield, you can't really kill them without spamming mortal wounds and if you use your mortal wounds source on them that mean you can't snipe support heroes because you must still shoot the closest enemy unit if you shoot at an Idoneth Deepkin. 2) Recursion thrall spam ! Each one give back 1d3+3 thrall that cost 14 pt each(12 with the discount). So if you can protect them from spell for 2 round they are basically free. And you cant ignore the dmg potential of the namarti thrall. The only weakness is the morale so make sure you take care of it (see below). Allied units get tide bonus and you can use them as a meat shield ^^. Any Stormcast unit can go to 2+ against shooting during first turn with mystic shield, protector even get a -1 to hit. I am not saying it's the most optimized plan but it's quite fluffy to see the elves using Stormcast as meat shield !!. Bonus : you can get to 2k points faster if you have a stormcast unit painted already ^^. 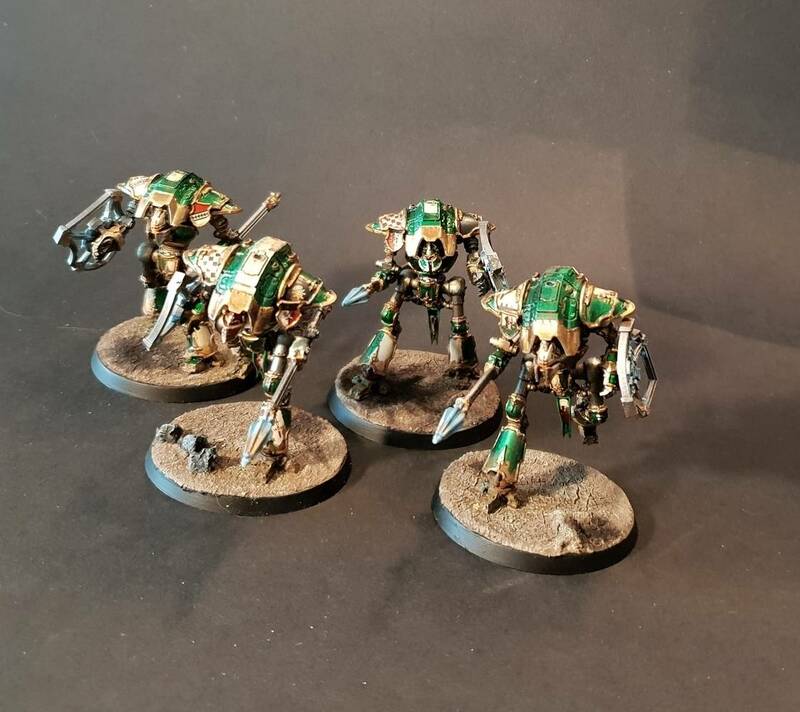 380 pt, 16 wounds, 3+ grant cover to everyone within 12", fly , move fast. 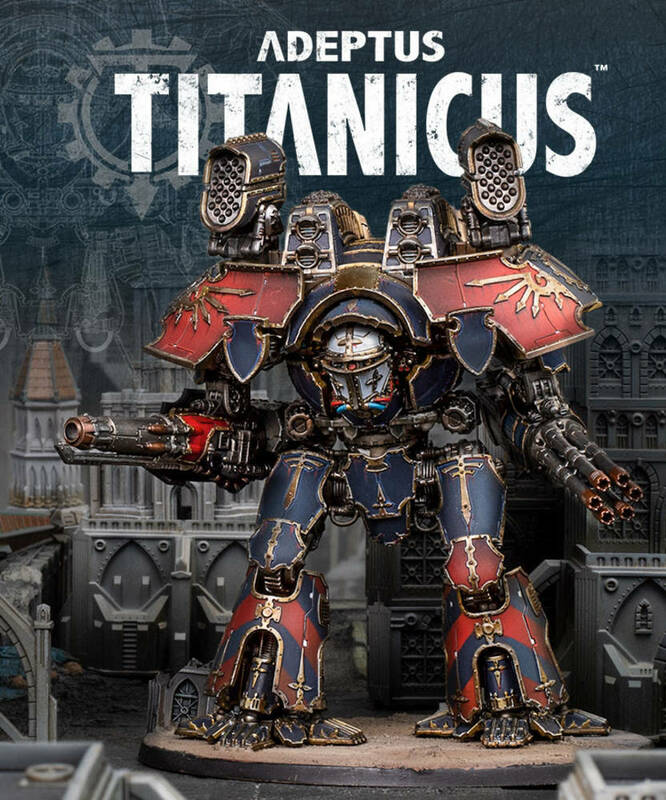 The tide is other big power from the Battletome. It's timed by battle round so initiative roll doesn't affect it. Everyone get cover, nothing special to say about it. Just that you can be more agressive in your placement. Time to alpha ! there is an important initiative consideration in the turn 2 that you have to prepare in the turn 1. If you play first, it's trickier, if the adversary offer is neck, take it ! but if he's positioned safely don't over commit ! 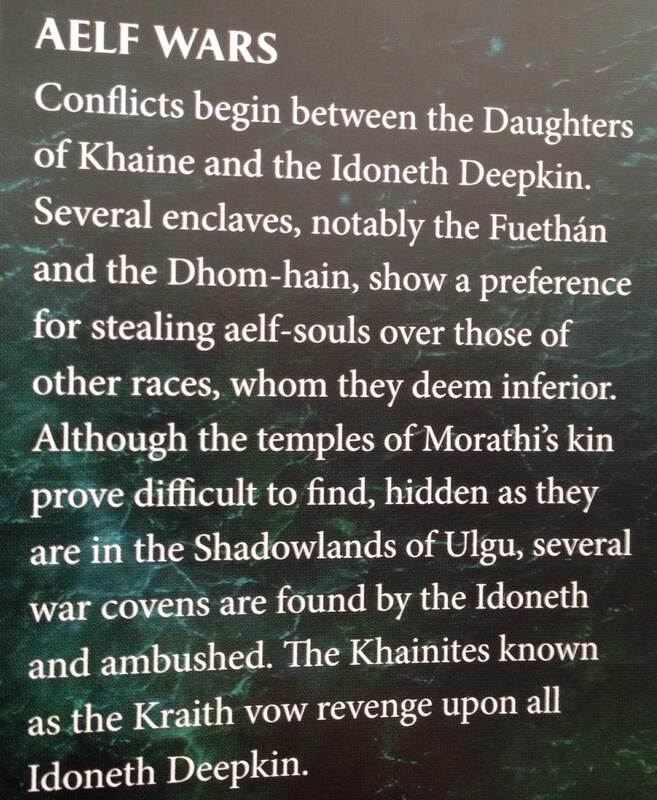 This is why i love the Akhelian Ishlaen guard. Even you are first to play T2 you can just charge with a mystic shielded unit dealing respectable dmg with a 2+ ignore rend followed by a 3+ ignore rend on the opponent T2. Option : If you are playing Nautilar enclave you could even be tempted to play the waiting game with your main force, using a line of eels as a defense. You want the have the most models alive and in melee or on objective for this turn, because no matter what happen you get to fight first TWICE ! with all your army ! There are not as much as in DOK but 2 jump to your face when reading the book ! I think it's going to be a very effective way to play the ID, you have multiple source of bravery/hit debuff that you can stack easily. There is at least 3 easy way to debuff enemy bravery. 3- Tide of fear. spell -1 Bravery, -1 hit 1 target. 4- Riptide (Tidecaster) -1 hit + 1d3 mortal (18"). There is even a 1 time usage item granting an extra -1 to hit to 1 enemy unit. The plan here is to stack the -1 to hit malus on the most dangerous unit and reduce the bravery of multiple unit to cause extra loss. Off course the Eidolon Tsunami is pivotal to this plan (better protect him). Ironrach is important here too for the +1 cast/dispel, the Eidolon can reroll casting too. the tide caster have an 18" range so you can be outside of dispel range. can give +3 extra range on CHARGE, usable during the charge phase, it's a perfect combo with the other power to ambush from any side 6" from the table edge 9" from enemy. But even if you didn't used the deep-strike power it's still super useful. 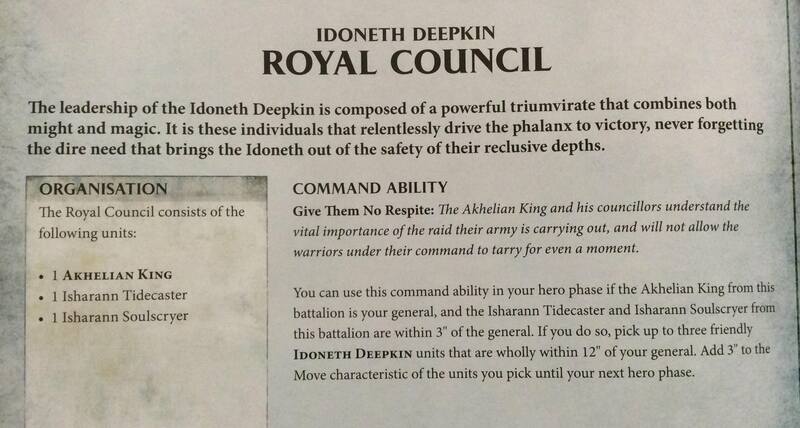 Then you use this battalion the Royal Council : giving +3" extra move to 3 friendly unit as a command power. Eels move 14" with fly. add +3 +1d6 from running to a 18"-23" move. For a total threat range of : 23" to 38"
Super long range threat with good bonus on charge, but that's not all ! Look at their Biovoltaik Blast ! :) For each model in the unit, roll 1 dice, 3+ = 1 mw, 6+ = 1d3. The target have to be 3" from the eels unit !! (Not from the model). In practice you have to use it have the start of the combat phase (before pile in) and only one Eels need to get to the target for all the unit to be able to unleash the pain. You choose target after rolling so no over kill too. 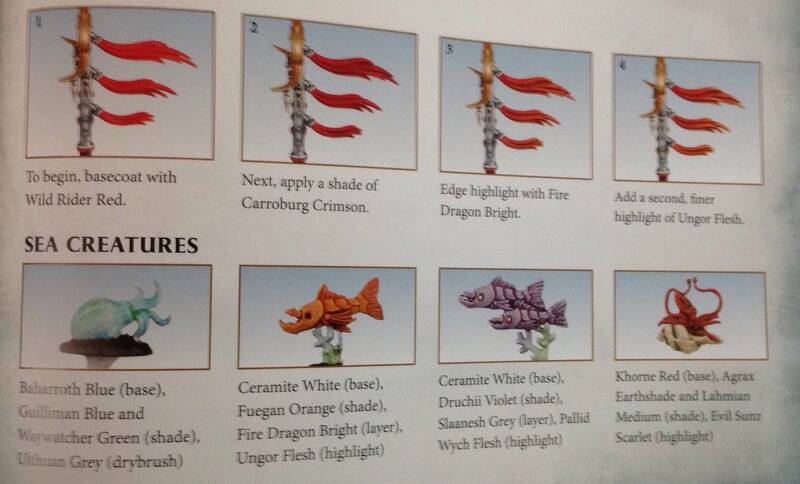 A full eels unit is 12 model (160*4), deal 10 mortal wounds on average + the multiple attacks after you piled in. To get 100% value of this, you need to train a little for good placement. Engaging a main target and enough secondary value target to offload the Voltaic Bomb. Off course the deep elves have one weakness ! Perfect target for Bravery Manipulation strategy !. There is quite a number of way to mitigate this problem. Off course it cost point, but don't prevent much of the good combo the faction can do. Volturnos grant +3 Bravery 18"
Eidolon of the sea, grant +3 Bravery 9"
Lotann add 1 bravery ! 12"
Standard Bearer grant reroll to battleshock test. Liandra Last Lament (relic) : 18" bubble don't make battleshock test. Yea an Eidolon of the sea with the Command trait grant +5 Bravery ^^. 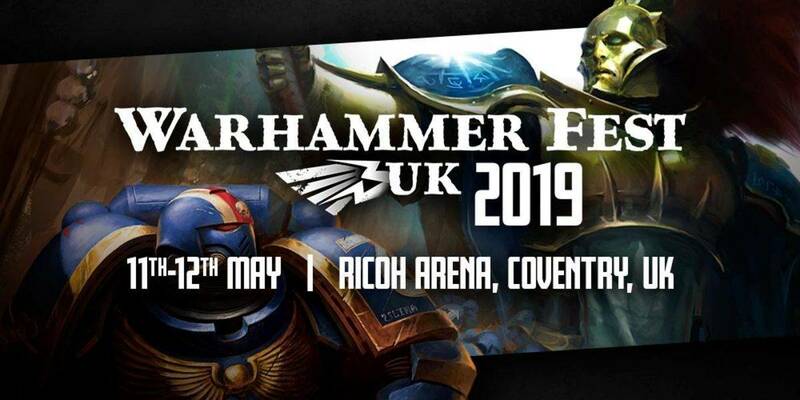 No doubt about it, the codex is going to be very strong, i am not sure how it will fare at the top end of the meta but you should be fine against nearly anything. The rules are really well made with minimal filler units. Ok maybe the archer and the shark are not that "wow" at first sight but i bet you can do something funny with them ! ps : will add more pics at the bottom. At last our review material arrived (I guess the country wide strike is not helping ^^). I'll start with a fluff review then I'll do a rules/warscroll/combo tomorow ! 6 Enclaves with a few specials rules. In the world that was when Slaanesh consumed all the Elves he missed a few of them. Yes at the bottom of the ocean the Elves of Mathlann were hiding with the help of their god! 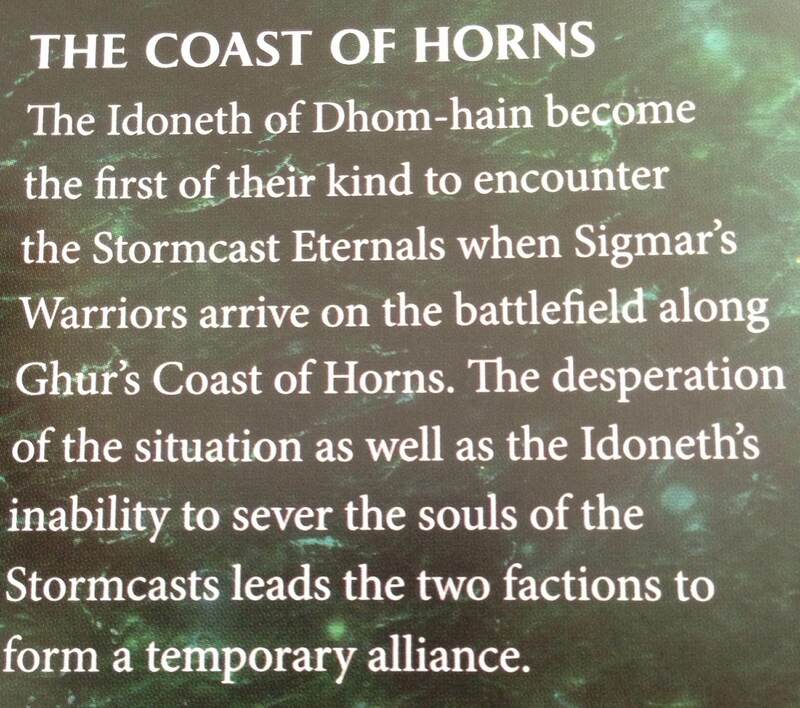 But when the world that was started to crack, the oceans were drained by Slaanesh and they got found. Slaanesh fought hard and consumed all the remaining Elves and killed Mathlaan too! That's it, game over, there is no elf left. (it's still not super clear on how the azyr elves happen). The 3 Elven gods scour the realms but find no elves. They finaly capture Slaanesh and start draining elven souls. They started with the last eaten (the Mathlaan elves). 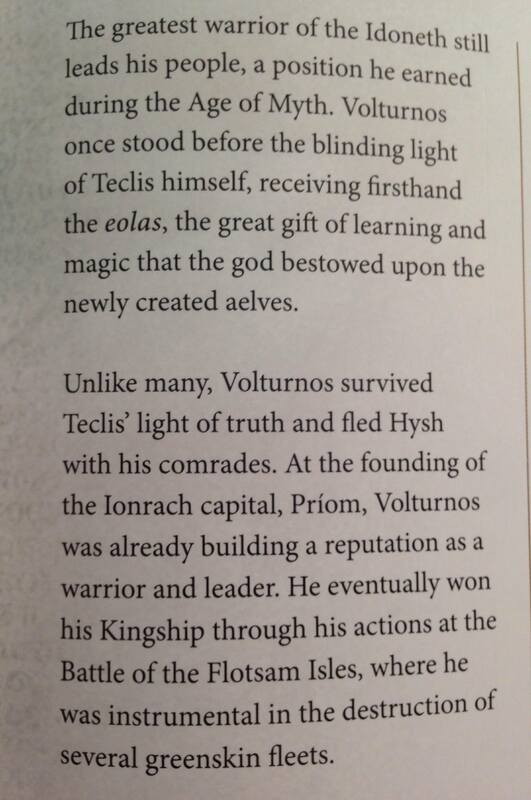 The souls were given to Teclis and he tried to build a new race of noble and bright elves. They were in Hysh (city of léiriu), the Cythai (Idoneth original name). They were taught of magic and ancient elven ways. As Teclis was about to erase them, Tyrion plead for leniency and let the Idoneth escape in the ocean . The Idoneth settled in the ocean and multiple groups started to grow, they are not super friendly to each other. They all started to consume souls. 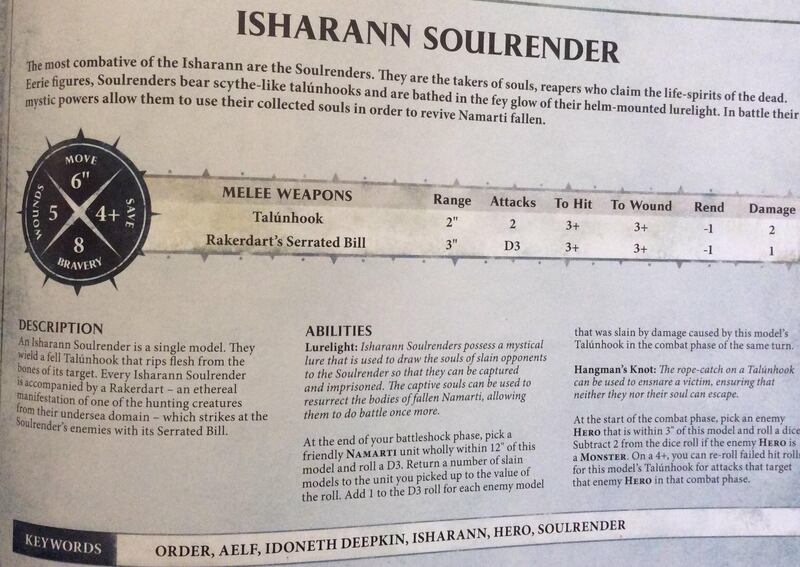 You need 6 souls for 1 Namarti lasting only a third of an elf. Son of Namarti, noble, mage you have the same chance to be a soul less. Orcs built an island ? 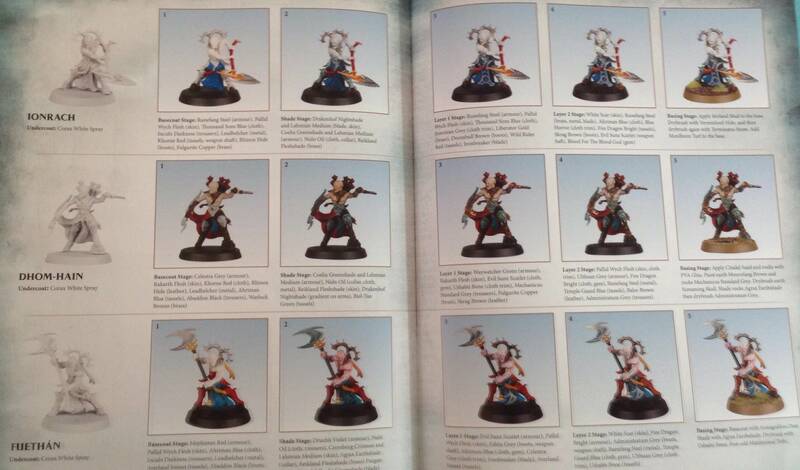 I know it's not fluff per se but I found the painting guide section vastly improved. More details and step by step. After reading this book, I find these Idoneth super interesting. 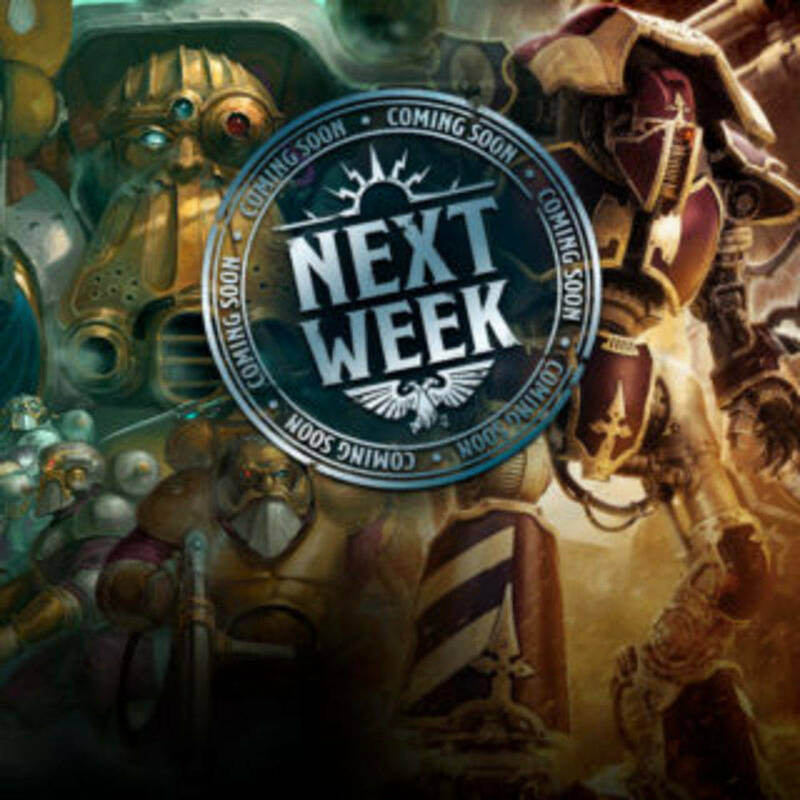 Gw announced what is coming next week ! So many good looking models. -Dual kit for Volturnos or nameless king. ps : Lord Command ability on Namarti Sword attacking units with 4+ hp ...Ouch ! (3A 3+ 3+ -1 rend, Damage 2) ..
ps : Dices are AUTOBUY ! 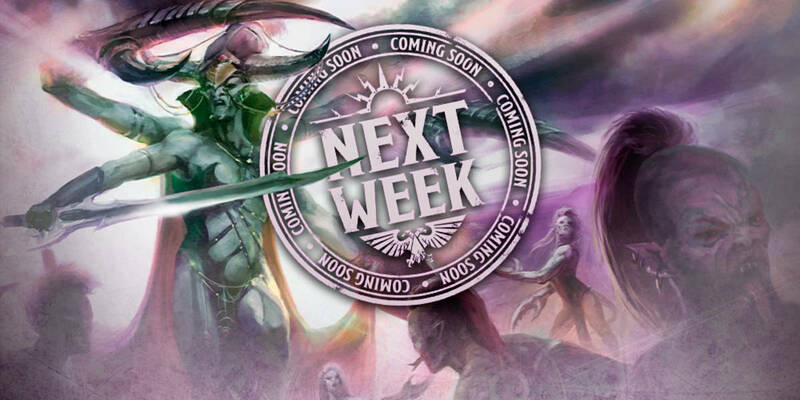 The image is from the GW homepage and you can see tentacles on the right ! It could be something or not. Maybe something for FW ?